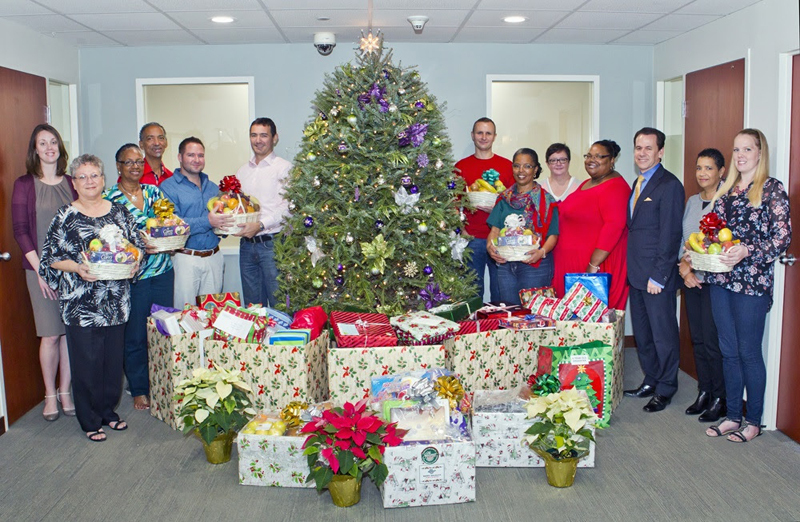 Appleby’s Bermuda office presented holiday food hampers and gifts to local charity STAR [Supportive Therapy for Aids Persons and their Relatives] on 18 December 2015. STAR has provided support for almost 30 years to persons with HIV and their families. The Partners and staff participate annually in STAR’s Christmas Donation Drive by supporting six families. The partners donate Christmas trees, food hampers and fruit baskets and staff donate gifts such as toys, clothing, vouchers and toiletries. Bermuda Managing Partner Tim Faries and volunteer staff coordinators presented the donated items to STAR representative Vanessa Simpson. Bermuda Managing Partner, Tim Faries, and volunteer staff coordinators present the donated items to STAR representative Vanessa Simpson. Mr Faries said: “We have been working with STAR during the holiday season for 17 years and hope that our support provides some additional Christmas cheer to our STAR families. I’d like to thank our staff who generously donated and our volunteer coordinators who assisted with the hampers on each floor. STAR’s work in the Bermuda community has benefited more than 170 people at its Light House facility, which aims to provide a family environment for residents, including men, women and children. In addition, STAR offers support throughout the island to persons living with HIV by way of confidential counselling and personal caregivers visiting homes, the hospital and hospices.